“He or she needs to be comfortable with being client facing and revenue-affecting. We are looking for a great people person who is experienced at selling complex building solutions on a Design & Build basis. Someone who has experience working at Director level with companies that typically turnover more than £50,000,000 a year. And because our sales cycle tends to be long, since we’re selling expensive and complex solutions, we wouldn’t be interested in anyone who sells into the SME market. Do you know of such a person?”. Wow; that was different! This guy knew exactly what he was looking for and was able to describe the role and the type of person who could fill it, in more detail than I was used to hearing. Most people just seem to wing it somehow. The right way to recruit top talent, who can help you to grow your business, is to define required roles in detail and produce a person specification, so that way you can evaluate candidates for a specific role in an appropriate way. 30%-come from LinkedIn profile searches; then one of his people contacts them. 20%-come from jobs advertised by other firms i.e. those on job boards. 25%-come from personal referrals from their own network. 20%-come from paid advertising on LinkedIn. So, getting suitable candidates to attend an interview is becoming increasingly more difficult. As an employer, you should give respect to every candidate you interview; meaning, you should review the candidate’s CV and any supporting information in detail. This will help you to shortlist and, when in interview, ask the right questions that will allow you to understand the candidate’s skill-set, knowledge and motivating factors, and suitability for the role in more detail. This means you won’t be asking general questions you will be asking specific questions related to the role and the candidate’s suitability to fill it. So, don’t ask general questions; be more specific and only focus on the few key skills that are crucial to the role. Finally, if I had one piece of advice to help people attract the right candidates it would be always be interviewing. Utilise every opportunity to be talking to people about possibilities. No discussion or interview is a waste of time because it could lead to an early appointment, a medium-term appointment or one further down the road; or even a referral source someday. You never know! Also never make your hiring requirements a secret; put your job opportunities on your website and use every single platform available to you to reinforce those same openings e.g. LinkedIn, twitter, Facebook Instagram and your YouTube channel. So, what is the take away here? 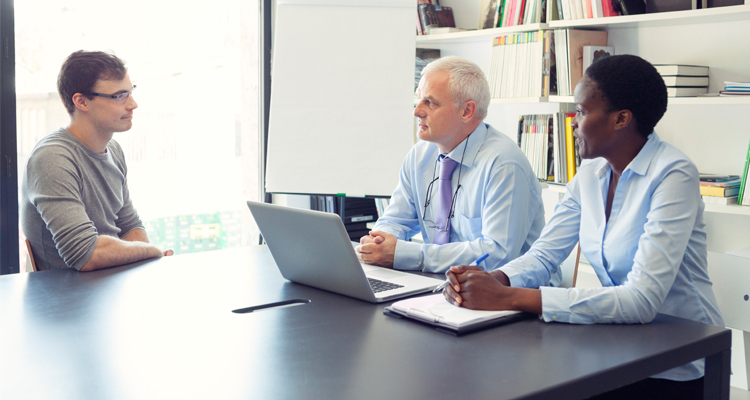 Business owners/leaders need to always be interviewing for new team members and they need to identify the key capabilities and skills required to fill the role. Because recruitment isn’t an event it’s a crucially important part of the business growth process.